Lee Evans left his Eastern Washington home in the fall of 1986 on a Congress-Bundestag Youth Exchange Scholarship. After his year in a quiet West German suburb of Osnabrück, he enrolled in University, but quickly left again to study Art History in Florence, Italy. During the fatefull year of 1989, Lee was in Berlin when the Wall fell and saw the collapse of Communism first hand; demonstrating on Wenceslas Square during Czechoslovakia’s Velvet Revolution. Lee has a Master’s Degree in Central European History and also studied Czech history and Literature at Charles University in Prague. At some point he managed also to spend significant time living on the island of Maui and in Munich. He is a well respected tour guide, working with Rick Steve’s Europe Through the Back Door, and author. 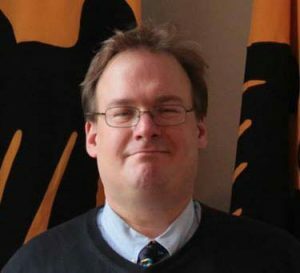 He has worked extensively on Rick Steves Germany and is currently in charge of roughly half of the Fodor’s Germany guidebooks. Lee led the English language services of the German Railroad, is an expert in almost every aspect of European travel, and has helped thousands of travellers get the most out of their European experience. Just don’t get him started on the glories of Estonian pea flour.